Thai Kitchen at Park Hyatt Hotel of Dubai is an award winning restaurant that serves authentic Thai food along with some south-east Asian dishes in unique settings. With four alive kitchens, the restaurant has dedicated each for different culinary. Moreover, dining tables are placed near each of these three live kitchens so the guests can take pleasure in the aromas and sights of Thai fare apart from devouring it. This authentic cuisine is prepared by local chefs, who are truly expert in blending different ingredients to produce balance and full of flavour dishes. These dishes range from grill to steam, wok to noodles and classic Thai desserts. Thai Kitchen gives you authentic Thai and some south-east Asian dishes at Park Hyatt Dubai, which are prepared by native chefs in one of the three live kitchens, out of which one is dedicated for wok, second is devoted for grill items and third contributes towards noodles. There is fourth kitchen as well that is dedicated only for making traditional desserts of Thailand. Another reason behind the success of this bistro is that guests can bask in all you can eat deal at this restaurant that is quite favourite among the food lovers. Aside from dinner Thai Kitchen also offers brunch on Fridays, which allures lot of clients, who chooses a meal from its set menu. On Saturdays and Sundays you can relish the signature dish of Chef Supattra Boonsrang known as hot pot or Juhm Jihm along with a la carte menu. 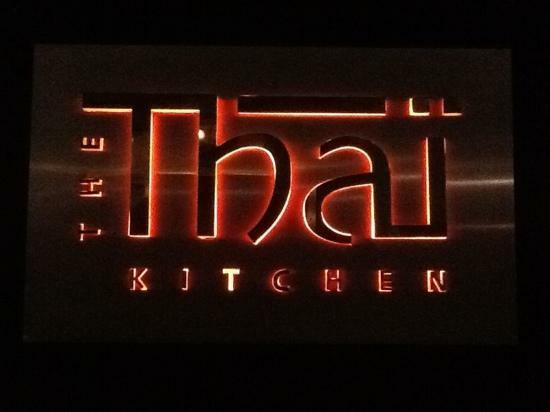 Drinks menu at Thai Kitchen is also wide-ranging, which guests over 21 years of age are allowed to consume only. To see the dinner menu served at this eatery, click here. The timings of brunch are from 12:30 pm to 4:00 pm, whereas dinner is offered between 7:00 pm and 12:00 am daily. Park Hyatt Dubai Hotel, Dubai - United Arab Emirates. 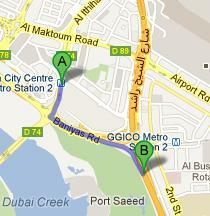 Deira City Centre Metro Station 1 is 1.3 kilometres away from the Thai Kitchen in Park Hyatt Dubai Hotel. By walk a commuter can bridge this gap in roughly 17 minutes, if he or she heads south on Al Ithihad Road/D 74 after coming out of this metro station and then turn slight right to stay on Al Ithihad Raod/D 74, before making a left turn onto Baniyas Road/D 85, where the destination is located. Head south on Al Ithihad Road/D 74, then turn slight left towards Baniyas Road/D 85 and later make a left turn onto Baniyas Road/D 85 to find the destination. View map for directions.